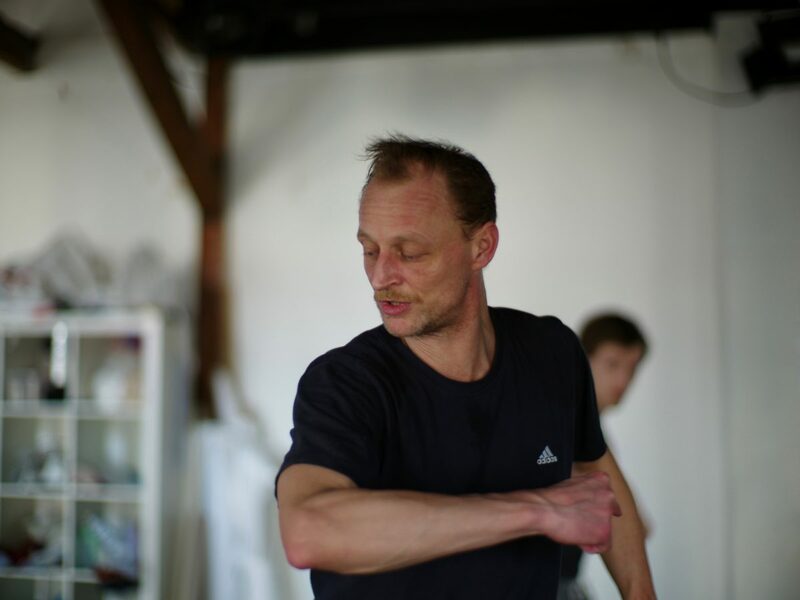 Sven Seeger works as a choreographer, project initiator and dancer. He creates dance and performance works in Berlin’s independent, “freie Szene”, in theaters and public spaces. He is a dance and performance instructor, as well as a project director in various dance and culture houses. Sven studied dance at the Ballet Rambert School in London and the Folkwang Hochschule in Essen. He was thereafter involved with the Ismael Ivo Company/ DNT Weimar, the Ballett Company Chemnitz as well as with Christoph Loy, Isabelle Schad, Jochen Roller, Felix Ruckert, Daniela Kurz and Susanne Lietzow amongst others. Sven Seeger’s works have been presented in various locations including Uferstudios, HAU2, Kampnagel Hamburg, Schwere Reiter, ARCUB Bukarest/ Goethe Inter Naciones, DNT Weimar, De Vorst Tilburg, Sophiensäle Berlin, Dock11 Berlin, Voxxx Chemnitz, C.C. Jaques Franck Brüssel, Dance Kiosk Hamburg, Podium for New Dance Potsdam, Rote Fabrik Zürich and as part of the Cultural City of Europe 99 in Weimar. From 2014 till 2018 Sven was a member of the directing teams at Junipark and Die Gärtnerei/CoopCampus (cooperation of S27 and raumlabor berlin) and creates projects at S27 for refugees and members of the neighborhood.